Ohio Rep. Jim Jordan slammed Democrat California Rep. Brad Sherman for introducing articles of impeachment against President Donald Trump for the second time on the first day of the 116th Congress. Jordan has been a strong supporter of the president and the America First agenda. In a tweet on Thursday he called out Sherman and stated that the Democrats are more interested in stopping Trump than helping the nation. “We knew they couldn’t help themselves. Rep. Sherman files articles of impeachment on the President. Dems are more focused on stopping Trump than building the Wall and helping the country,” Jordan tweeted on Thursday. 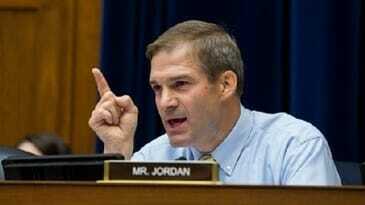 Jordan is the ranking member of the House Committee on Oversight and Government Reform and sits on the House Judiciary Committee, which holds jurisdiction over impeachment proceedings, The Hill noted. Sherman previously introduced articles of impeachment in 2017. Sherman alleges obstruction of justice for Trump’s firing of former FBI Director James Comey.